The first ever Wizard World Gathering will take place at this year's MagicFest in Edinburgh. Calling all wizards - and aspirational Muggles - a Harry Potter themed shindig is coming to town. Described as the "ultimate wizarding party" the Wizard World Gathering will take place in May to launch the ninth annual Edinburgh International Magic Festival. Celebrating all things witchy and wizardy, the brand new event will be held in the wonderfully gothic-styled Great Hall of Assembly Roxy, in the same cobbled city where Harry Potter author JK Rowling lives and writes. We've been told to expect chocolate frogs, enchanted cakes and tunes from Fantastic Beats DJs. Dressing up is encouraged and there will be a costume competition. There will also be magically mixed gin "potions" from The Old Curiosity Distillery - brewed in Edinburgh's own mysterious Secret Herb Garden - and live magic shows from internationally renowned magicians R Paul Wilson, John Henry Blackwood and Kevin Quantum. 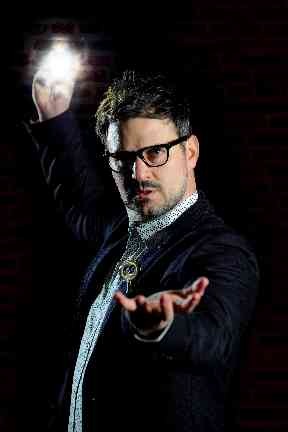 Magician Kevin Quantum. Kevin Quantum. As the organisers say: "Edinburgh is a city whose history is intertwined with magic. "The International Magic Festival pays homage to this history, and celebrates magic as an art, one that belongs on stage, one that needs to be seen to be believed." 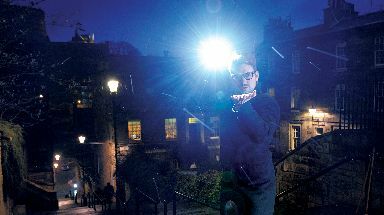 Edinburgh International Magic Festival is an annual arts festival that celebrates magic. Founded in 2010, MagicFest produces the UK's largest magic event, attracting over 12,000 people at 80 different events across the city from free installations to the world-class Gala show at the Festival Theatre. MagicFest's mission is to be the world leader in programming and producing innovative, cutting edge magic. Tickets to the Wizard World Gathering from May 11 to May 13 cost £18 and include a drink and chocolate frog on arrival.